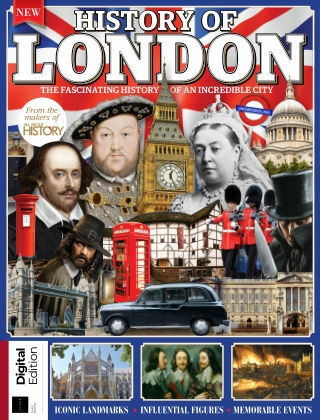 With Readly you can read All About History - History of London and thousands of other magazines on your tablet and smartphone. Get access to all with just one subscription. New releases and back issues – all included. It’s hard to believe that the city of London didn’t exist before the Romans arrived some 2,000 years ago. Now one of the most fascinating capital cities in the world, its iconic landmarks and historical buildings have been shaped by the events they’ve witnessed and people they’ve housed. Join us on a journey through this incredible city. Explore its royal palaces, and discover what really happened in the Tower of London during the reign of Henry VIII; find out how it recovered after the Great Fire; see how writers such as Dickens and Shakespeare were influenced by the city; and learn all about its cultural traditions, from the River Thames frost fairs to the 18th-century gin craze. With in-depth features, stunning images and illustrative maps that bring the city’s past to life, this is the ultimate companion for anyone with an interest in London.